The International Labour Organization in its World Report on Child Labour 2015, raises a very important issue: the incidence of child labour in a country, and its effect on youth employment in the long term. As the report points out: Some 168 million children remain trapped in child labour while at the same time there are 75 million young persons aged 15 to 24 years who are unemployed and many more who must settle for jobs that fail to offer a fair income, security in the workplace, social protection or other basic decent work attributes. 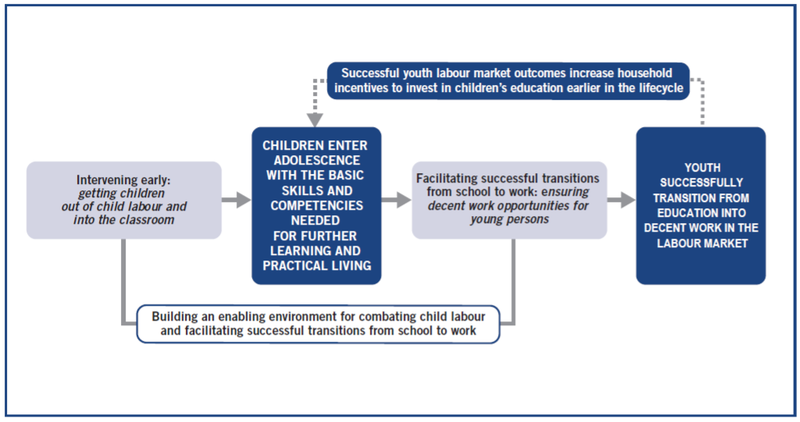 Which means that all those trapped in child labour and denied education because of endemic poverty and inadequate social security mechanisms, are unlikely to find decent work opportunities as they come of age and join the work force, and will sink further into poverty, and their progeny will again be forced into child labour … and so the downslide continues, generation after generation. Sadly, none of these issues appear to be of immediate concern to the Indian Government, more interested in impressing the Indian diaspora than addressing domestic issues which have long-term deleterious consequences on Indian society and economy. One in every 11 children in India is working, and more than half of the 5.5 million working children in India are concentrated in five states—Bihar, Uttar Pradesh, Rajasthan, Madhya Pradesh and Maharashtra. The first 4 States are considered ‘BIMARU’ or sick and this statistic is no surprise, but the presence of Maharashtra in this list confirms the assertion of activists that the urban informal sector is perhaps the worst exploiter of children. Over 80% of working children are based in rural areas and three out of four of these children work in agriculture, as cultivators or in household industries, most of which are home-based employments. Which means that they will continue in this wretched cycle, thanks to the recent amendments in the relevant Act, which legitimises child labour in family enterprises which are deemed ‘non-hazardous’, such as agriculture and handicrafts. And sure enough, continuing child labour does impact the long-term youth employment prospects in India, as the Report predicts. Recent studies confirm that because of poverty and poor human capital endowment, Indian youth are forced to participate in the labour market at an earlier stage than in other countries. They cannot afford to remain unemployed for long and end up in the informal sector, in low productivity and badly paid activities. Most men end up in casual wage employment, while women may become self-employed or work in agriculture. Training and skill-building at this stage may be a case of too little too late, if the targeted youth were child labourers and missed out on a solid foundation of primary and secondary education. Previous Post Whither Indian Healthcare?